The theme of our Teacher Challenge 2018 is “Immersive Storytelling”. Many of you have asked what does it mean, and how does it connect to learning. Here is a playful conversation starter on the topic based on my presentation at the Festival della Didattica Digitale earlier this year. 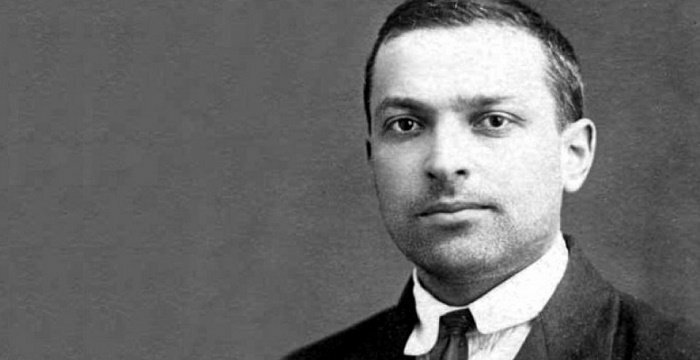 It is an imaginary interview about immersive storytelling and learning with Lev Vygotsky, one of the pioneers in developmental psychology and the founder of sociocultural theory of learning. The key point of the post is this: Naming or describing real or imaginary relations between objects in our field of perception using multiple forms of language awakens intellectual processes fundamental to learning. This explains the potential value of technologies like ThingLink and the reason why you should take the ThingLink Teacher Challenge this year! A note about this imaginary interview: Even though the thought of this presentation emerged spontaneously, it’s clear that Vygotsky’s work and the sociocultural theory can provide valuable tools for understanding the impact of immersive technologies to learning. I warmly welcome comments and further discussion on the topic, as I continue to work on longer explanations and examples on each point. Q: Let’s start with some of the key concepts. How would you define ‘storytelling’? V: Storytelling is a logical form of thought. It is an analytical process including perception, labeling, organizing, categorizing real and imaginary objects and their real and imaginary relations in speech. Q: What does this mean for a first grade student who at school attends to virtual reality classes across the world? A child learns to speak by singling out and categorizing meaningful objects in their field of perception. If the field of perception expands beyond the child’s physical environment, so does the development of other psychological functions. Another point to consider is language: we all perceive the world through our speech. Learning to use multiple forms of speech for expressing relations in real or digital environments expands our cognitive capabilities. Q: Let’s talk more about expressing those relations and making them visible. How do you see the function of labels or annotations in images? V: Labeling creates new structural centers to perception. Guiding attention, they can support the internalization of new concepts and meanings. Q: How does this relate to immersive storytelling? V: Immersive storytelling can be understood as an activity through which students use language to visualize relations and meaning in 360 degree digital environments. Naming or describing relations between objects in our field of perception using verbal or visual language awakens intellectual processes fundamental to learning.